Where clients are seeking reassurance regarding their compliance with the Electricity at Work Regulations (EAWR) , we offer an independent audit and summary report on their plant. 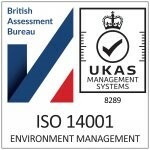 Should more be needed we provide a full inspection/testing service. This is backed up by a team of professionals, headed by a Chartered Electrical Engineer, who will advise on any issues. Electrical distribution can easily get out of control and cause supply problems, especially in large networks. Pinpointing improvements in maintenance and design can save both time and money. We always seek the best way of working with our clients. This invariably means working closely with the local technicians who are familiar with the particularities of the site. Ultimately we aim to ensure that the client is able to achieve and demonstrate compliance with the relevant parts of the Electricity at Work Regulations, whilst operating a dependable electrical distribution network.